Vail Resorts Inc.’s acquisition of four ski resorts earlier this week wasn’t a huge deal financially—at least relative to the company’s annual revenue—but adding locales near key U.S. markets could prove to be a monumental, even epic, move for the Colorado-based ski area operator. The acquisitions will fuel more pass sales, making the purchase of resorts in Colorado, New Hampshire, Vermont and Washington a strategic maneuver in what some are calling an “arms race” between Vail and rival Alterra Mountain Co.
Vail announced third-quarter earnings Thursday morning, and the numbers were impressive in light of the difficult winter conditions around much of the country, most notably in the West. Shares increased 4.5 percent in Thursday trading after Vail reported net income of $256.3 million for Q3, an increase of 41.5 percent compared to $181.1 million in Q3 of fiscal 2017. The company’s earnings per share of $6.17 beat Wall Street estimates by 5 cents per share. And Vail’s revenue of $844.5 million was up 6.3 percent compared to the prior-year quarter, beating estimates by $17.3 million. One of Vail’s other critical data points also impressed. Pass sales through May 29 for the upcoming 2018/2019 North American ski season increased 12 percent in units and 19 percent in sales dollars compared to the prior year period through May 30, 2017. For all the year-over-year improvements in income, revenue and pass sales, the newly announced acquisitions remained the hot topic on Thursday morning’s conference call. Three days earlier, Vail announced that the company had agreed to acquire Triple Peaks LLC, the parent company of Okemo Mountain Resort in Vermont, Mount Sunapee Resort in New Hampshire and Crested Butte Mountain Resort in Colorado. 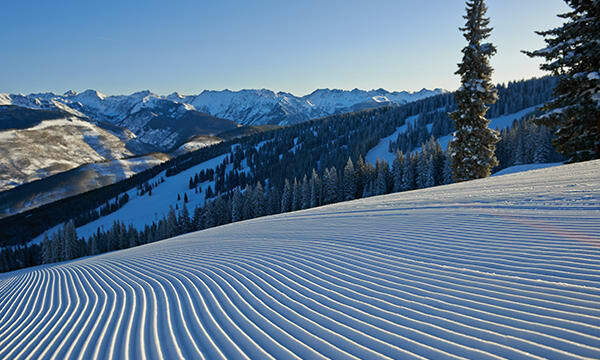 The company will acquire Triple Peaks LLC from the Mueller family for $82 million and also spend $155 million to pay off the leases that all three resorts have with Ski Resort Holdings LLC, an affiliate of Oz Real Estate. In a separate transaction, Vail agreed to acquire Stevens Pass Resort in Washington state from Ski Resort Holdings for $67 million. With the acquisitions of Okemo, Sunapee and Stevens Pass, Vail gained a stronger foothold in the Boston and Seattle markets, giving the company ample opportunity to sell more Epic Passes and garner more market share. “In New England, where we are currently solely represented by Stowe Mountain Resort, the addition of Okemo’s family-oriented programs and Mount Sunapee’s unique location less than 90 minutes from Boston will create a regional hub that will greatly enhance the experience and variety of options for our guests,” Liz Biebl, director of brand communications, Vail, told SGB this week. “In the Pacific Northwest, with the addition of Stevens Pass, an easy drive from Seattle, we now have a fantastic complement to Whistler Blackcomb that gives pass holders access to both resorts. This pass angle is at the heart of the arms race between Vail and Alterra, which escalates with each acquisition, as both behemoths look to aggressively grow their footprints. Each company has a pass—Vail’s Epic and Alterra’s Ikon—that allows skiers and snowboarders to access resorts from coast to coast, as well as in Canada and overseas. By adding more mountain areas to their passes, those passes becomes more attractive—especially when compared with single-mountain offerings—resulting in more customers and top-line growth. Another benefit: Customers are now enticed to travel to other areas covered by their multi-mountain pass. A family that skis their local mountain near Detroit, Minneapolis or Boston is more likely to make a trip to Colorado, Utah or British Columbia since the lift tickets are already paid for. Extending a footprint also builds in protection against weather. A mega ski company can withstand a dry Rocky Mountain winter if the East Coast or Canadian resorts enjoy above-average or even average snowfall and vice versa. Toss in the international ski areas and weather hedge becomes more critical. However, there remain some concerns about the growth of both Vail and Alterra, mainly around the potential for pricing increase in lift tickets and passes, reduced competition and smaller resorts struggling without the skier traffic of the big areas because they have no multi-mountain pass to offer. Something else that could drive up pricing is the amount of money ($35 million) that Vail plans to invest in the company’s four new assets in the next two years, as well as spend money elsewhere in its portfolio, although the makeup of those investments—improvements or maintenance or both—is still to be determined. Another issue is less tangible. Backlash from the communities where mega companies have bought smaller areas can be sharp and loud, but when SGB asked how the company would endear itself to resorts known more as locals’ mountains than ski destinations, Vail’s Biebl said the company’s commitment to every community in the company’s portfolio speaks for itself. Vail isn’t done growing acquisitively, as Katz noted when asked about whether or not the company is continuing to seek opportunities to add resorts to the mix. But while M&A remains a critical component of Vail’s growth strategy, Katz acknowledged that the ski industry, for now at least, has room for mountains that fit into one of three categories—entirely standalone, part of a larger company or independent but part of a multi-mountain pass plan. Katz, understandably, touted the Vail model that has worked well to date. Vail updated the company’s fiscal 2018 guidance range and is now expecting resort EBITDA to be between $612 million and $622 million, including an estimated $7 million of acquisition and integration related expenses specific to Triple Peaks and Stevens Pass and an estimated $3.2 million of integration related expenses specific to Whistler Blackcomb and Stowe.